POSDATA can help your business by smoothing out the road bumps with Android migration planning. 1. Map out your business processes and how your existing devices are utilized. 2. Perform a device count, and determine if your business will require the same, greater, or less number of future hardware devices. 3. Gather your current mobile computing hardware and application requirements. 4. Review hardware and software specifications for current Android devices, and verify they will meet current and anticipated future requirements. For example, are there any innovations with software, apps, or devices that can improve your productivity and generate a higher ROI? 5. Analyze your current device and network security. 6. Review any compliance or regulatory requirements that are specific for your business or industry. 7. Consider whether you need device management solutions or additional support for your implementation. Prepare your total budget for device purchases, software upgrades, and training. solutions to streamline your migration. 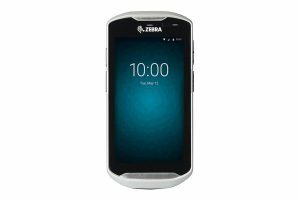 Zebra has a full line of Android OS scanning products, ranging from lightweight mobile scanning devices, to rugged units that can work in harsh warehouse environments.